In this video, TBI’s Solution Engineer, Joe Fizor, provides a tutorial of Cisco Meraki's Dashboard using Meraki MR, MS and MX devices. The Cisco Meraki dashboard gives administrators visibility into the network users, devices, and applications. Administrators can view analytics and quickly create access control and application usage policies, to enhance both the end-user experience and network security. 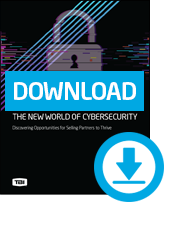 Download our Security Ebook to help you sell more security.